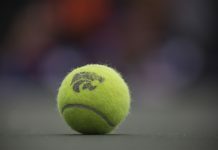 The Kansas State tennis team took the victory in a close 4-3 match against UC Santa Barbara on Saturday, their second victory on the road this season. 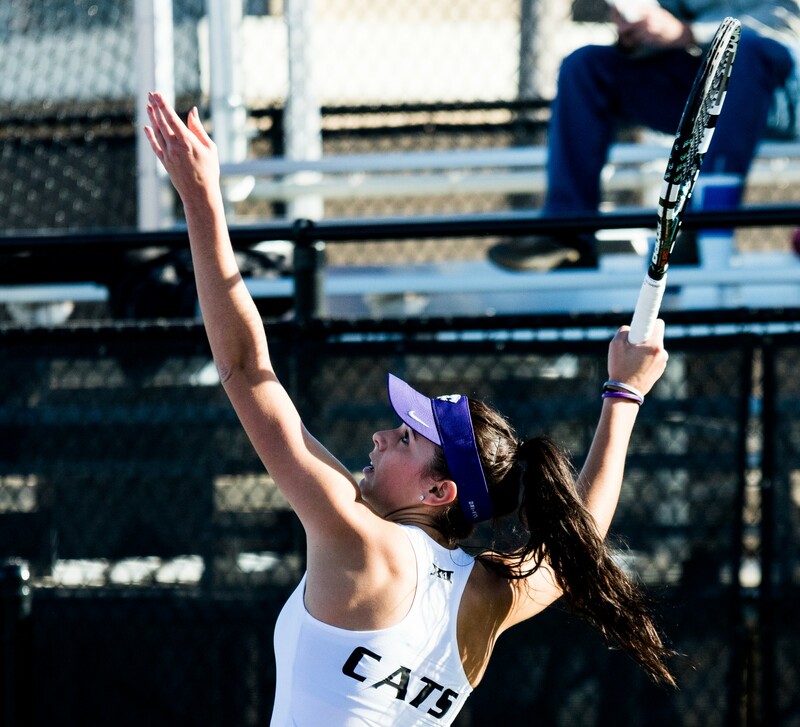 The Wildcats came out of the gate strong, taking the doubles point as duos Rosanna Maffei and Anna Turco, along with Maria Linares and Ines Mesquita, both won their sets 6-1. Linares and Mesquita are now 3-0 in doubles. This was the first time Maffei and Turco have competed together this spring. The Wildcats did not have a great start in the singles portion of the match. K-State suffered two quick losses, but Linares evened the match at two points each with her straight-set win (6-1, 6-1) over Stephanie Yamada. Freshman Margot Decker fell to UCSB’s Palina Dubavets at No. 1, but Mesquita got the point right back to tie everything at 3-3. Freshman Maffei won the match-deciding set at the No. 2 position, overcoming an opening-set loss to beat Natalie Da Silveira in three sets, 2-6, 6-1, 7-6 (2), and bring the Wildcats a victory. The Wildcats will be home for two matches this weekend, facing North Texas on Friday at 3 p.m. and then facing Washington State on Sunday at 11 a.m. Both matches are scheduled to be indoors at Body First Tennis Center in Manhattan.